Optimizing Product Data Feeds for Increased Performance. 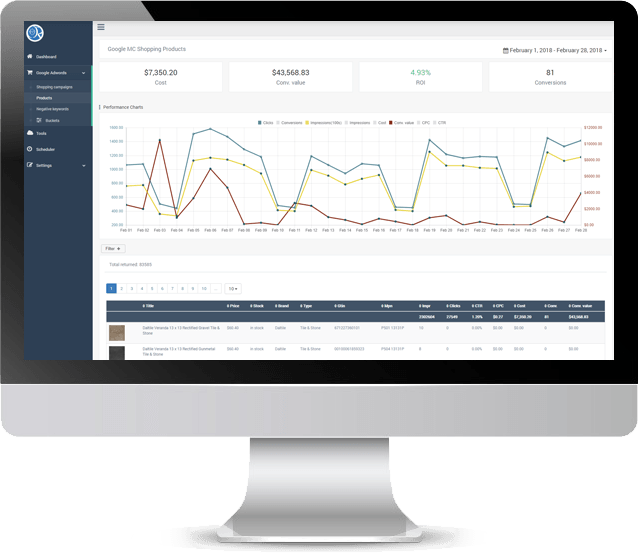 Manage data feeds on multiple shopping networks, marketplaces, affiliate channels, and more. Implementing and optimizing product data feeds can be a confusing and cumbersome process, but their success is paramount. Our tailored strategies go beyond just increasing your visibility and attracting customers, as we help convert those leads into sales and improve your overall ROI. Integrate automatic data feed retrieval. 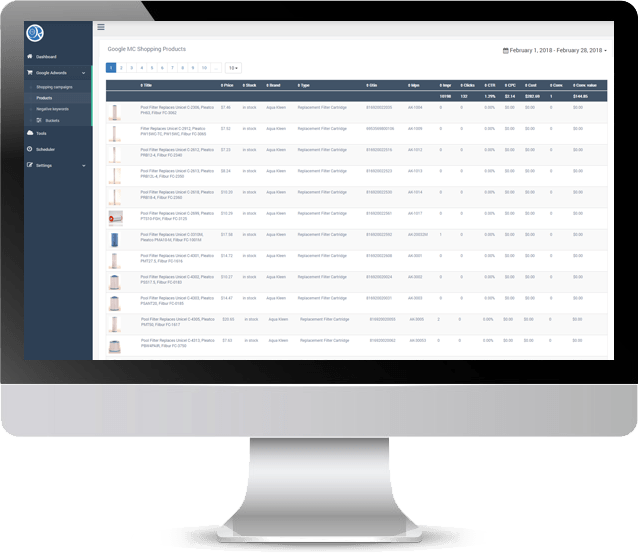 Optimizing and managing product feeds for e-commerce retailers. Confirm all available attributes meet the current taxonomy requirements for each shopping channel or marketplace. Optimize the feeds not only for humans but for their bots to successfully crawl the data. Find the most applicable category from the product taxonomy provided by each engine in order increase the chances that your products will be included in relevant searches. To confirm that all product data is up-to-date on each channel, we make sure that all data including prices and inventory is imported and automatically synchronized at least once a day. Adjusting budgets is key to increasing traffic and profits. However, to target specific goals continued monitoring of product-level bidding is required for success. Improve campaign performance by potentially increasing the relevancy of the product data by adding additional, or custom attributes to your data feed when needed. To improve profitability on various shopping channels, we leverage ongoing optimization and segmentation strategies to isolate the top performing products. Google Shopping Campaigns, using Product Listing Ads, gives e-commerce merchants the ability to advertise their products on Google and the Google Partner Network.